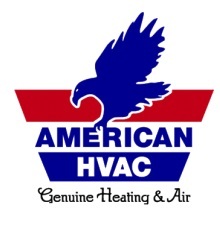 Your Heating & Cooling solution for the Provo Valley & Surrounding Areas! An air cleaner for your home can make a big difference in the quality of the air that you and your family breathe. Finding the right air purifier can save you loads of money, but there are many options to choose from. It’s important to know what to look for when thinking to buy an eco-friendly air cleaner. $49 diagnostic evaluations are intended for local and residential customers (Utah County); since we often have trucks in the Salt Lake area, please call for $49 availability. $49 diagnostic evaluations dedicated to one piece of heating or cooling equipment located in typical locations in designated mechanical rooms. $49 after-hour diagnostic evaluations, (includes weekends and holidays) are subject to conditions of the day and the locality. Especially on major repairs. If your furnace or air conditioner requires extreme and expensive repair, take the time to assure that you are getting accurate evaluations and competitive prices. We will cheerfully return at your request to finish the repair. Intended for customers who have already paid a licensed established HVAC company to provide a diagnostic evaluation on a residential gas fired furnace or central air conditioning system. A free second opinion is complimentary service, which requires you to indicate "free second opinion" and details of the first diagnostic evaluation when you call.